Also this wall clock from Max Bill is a consequent expression and immediate realization of the formal ground principles of the artist. 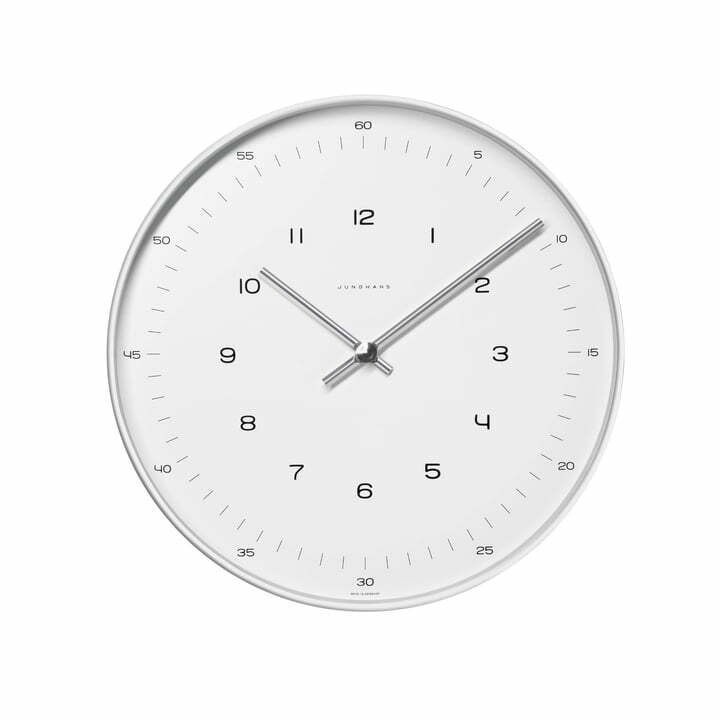 Clearness and functionality are shown as base and continuum of his aesthetics in this clock. Max Bill designed the shapely and timelessly modern wall clocks in the year 1957. His clocks' collection for Junghans reflects the tension between strong, reduced design on one side and the usage of flowing, natural forms on the other side. The Max Bill clocks are still today real classic examples for the strength of a simple idea, while for example his door-push, which emerged in his Ulm times, doesn't only get its strength out of the simple form but also out of harmonic lines that follow natural function. The high quality workout is displayed in every Max Bill designed clock: also this battery powered quartz clockwork is longevity and reliable. This edition with numbers in the background offers time-security, even by a fast and short glimpse to the wall where it hangs.